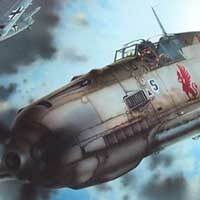 Eduard big step forward was release of brand new 1/32 model of Messerschmitt Bf109E in February 2009, kit No. 3001. Vesrion they deliver is E-1 but no doubt that much more will to come. 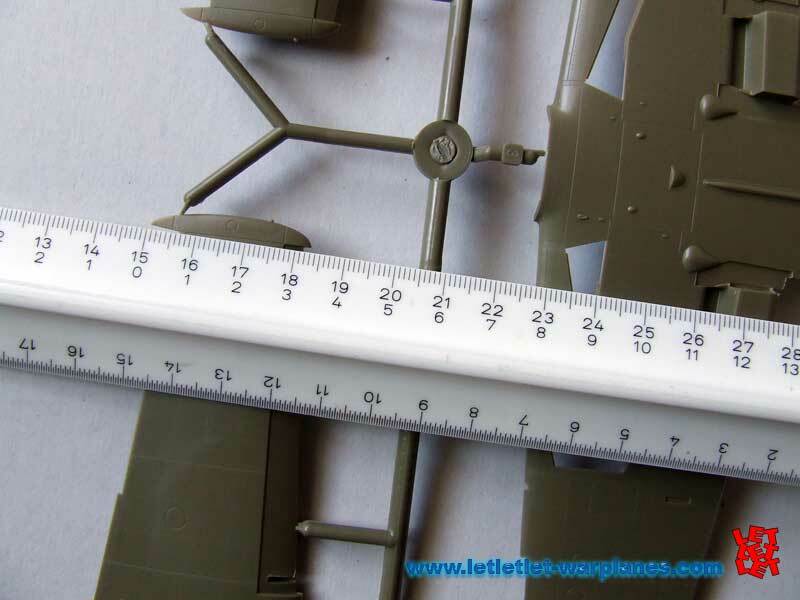 Interesting to mention si that 1/32 scale is much growing last time and it is very interesting to note that not much attention is given to this model of plane. Decades ago this type is covered by Matchbox and Hasegawa and great change in the quality of delivered kits make big gap in this sphere. This kit from Eduard is long awaited by model enthusiast and this waht it bring for sure feel best expectations from all of us. 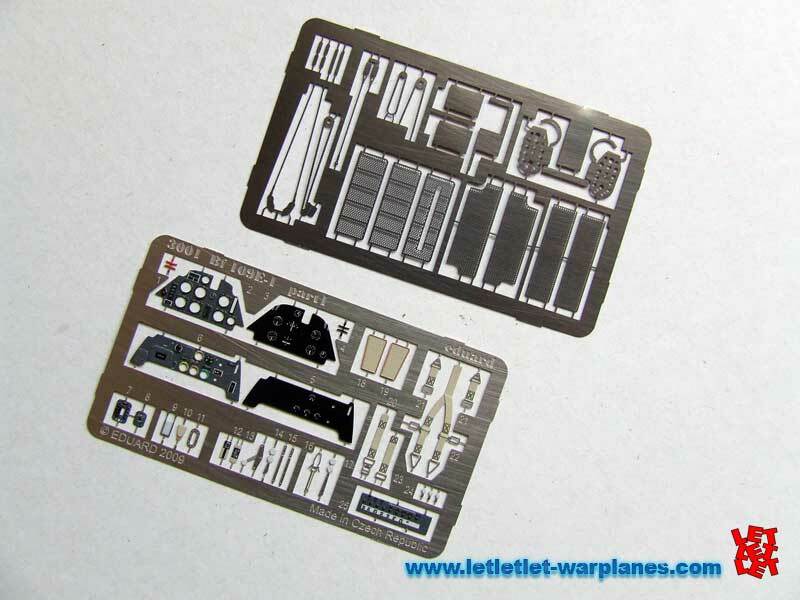 Eduard Bf109E art boxSo what we get when open the box- very large frets with great number of the parts this kit have in total 152 parts of those five are clear. 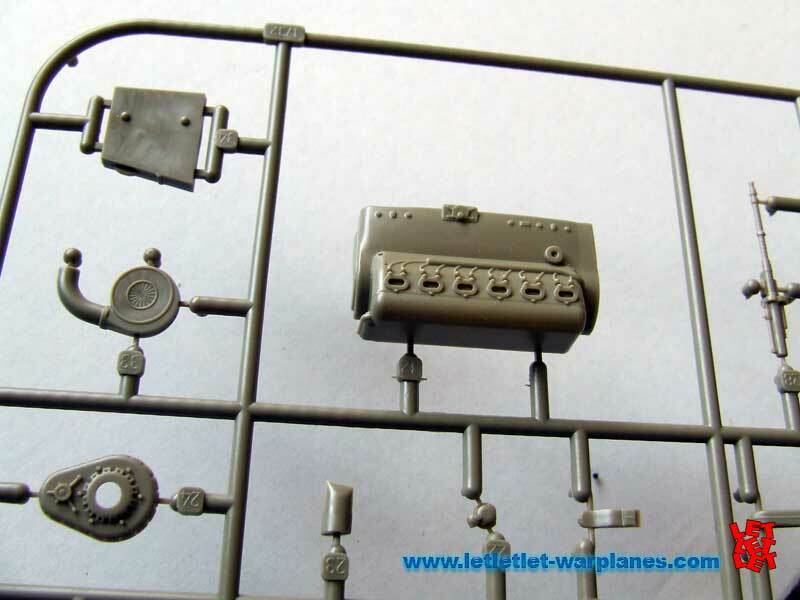 In add to this plastic parts are two metal sheet with pre painted etched parts. Photo etched detail sets provide additional 50 parts which give in total 202 parts. First I have noted is that this set no matter of larger scale does not have more parts then regular 1/72 or 1/48 scale model. Reason lay in the size and in this scale almost everything can be made as full molded plastic part. Etched parts cover some very sophisticated areas and sections and as you guess there is parts for the pilot seat as well instrument panel. Plastic parts are perfect molded in grey brown plastic and parts are separated on the six frets. 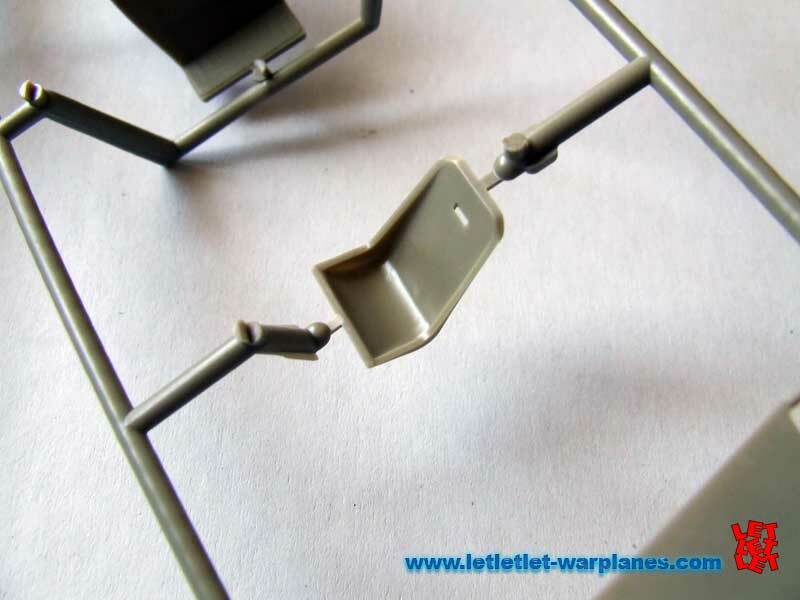 As we can espect from that kit all control tabs are given as separate parts so this give very easy way in the arrange fo the final look of the assembled kit. 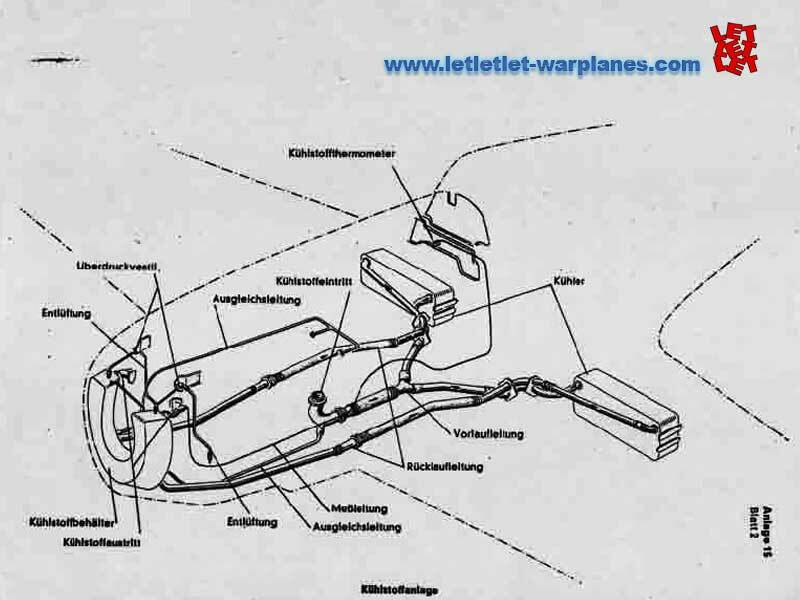 Also engine cowling is given separated so it is easy way to make it open. Best at all is that the same engine is also provided to be build from the kit parts so you have all in one pack for the superdetailed kit. Detail which have to be noted is that engine exhaust are separately made. So if you insist on the features like this you definitely have it with his kit. I have took some measurements in regard to avilable data and find all data good and fit to authentic. Transparent parts are excellent made with correct size and shapeand they could be made in open as well closed position. Assembly should go very smooth due to the very good made assembly booklet in full color. Every step of assembly is cover in deep detail and easy to follow. Last pages are as ussual left for the camouflage and markings of the kit and there is four machines presented. All of them featured early war campaign with early camouflage pattern based on the RLM 02, RLM 70 and RLM 71 greens with the side and bottom in RLM 65 blue. 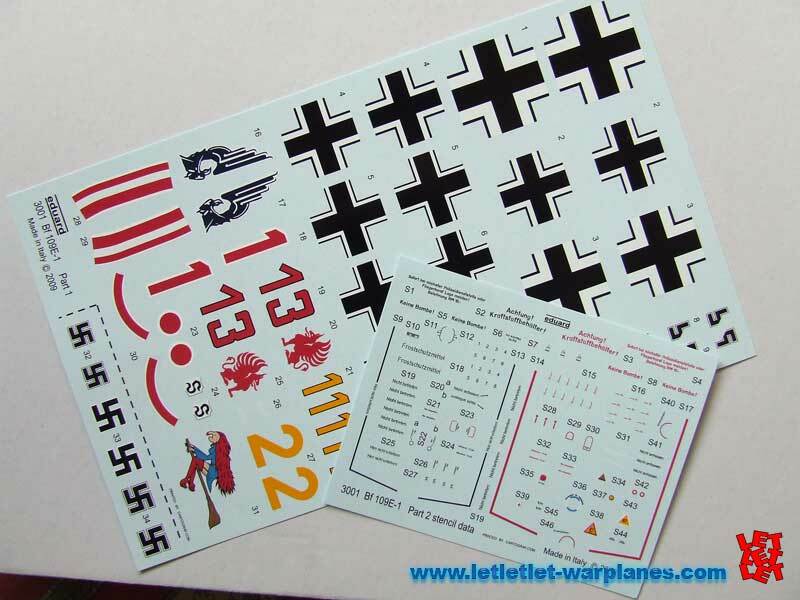 Very good thing is that decals are printed on two decal sheet, one contain full content of various stencils and labels, while the another have decals for the finishing of the camouflaged planes. Overal look and impression is that this is excellent kit with very good features and it will definitely have bright future. Sample kit is provided by Jan Zdiarski from Eduard. 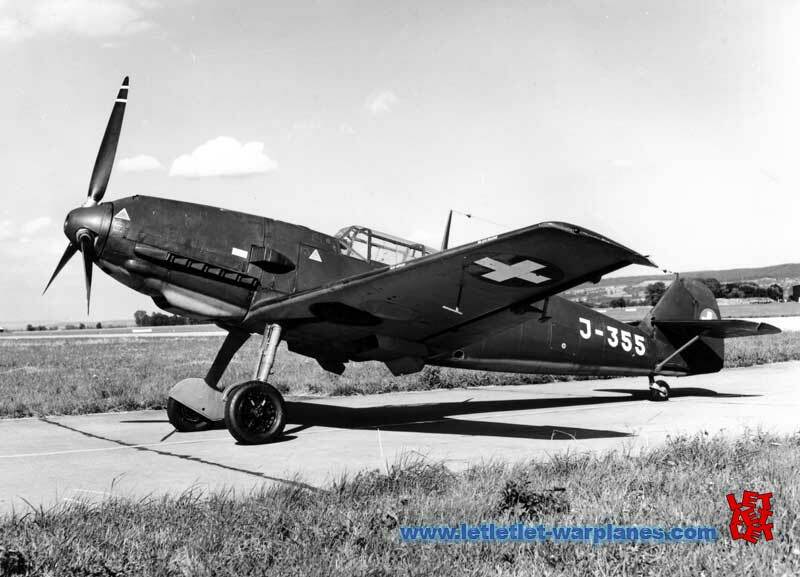 Official German manual Betriebs- und Rustanleitung Me 109 mit motor DB 601, Messerschmitt A. G.